Florence comes with an array of accessories to allow you to create a truly stunning kitchen. The overmantle shelf and glazed frames work beautifully here to create an interesting design. An island unit gives a real focal point to a kitchen. Use it for extra storage space and even double it up as extra seating. 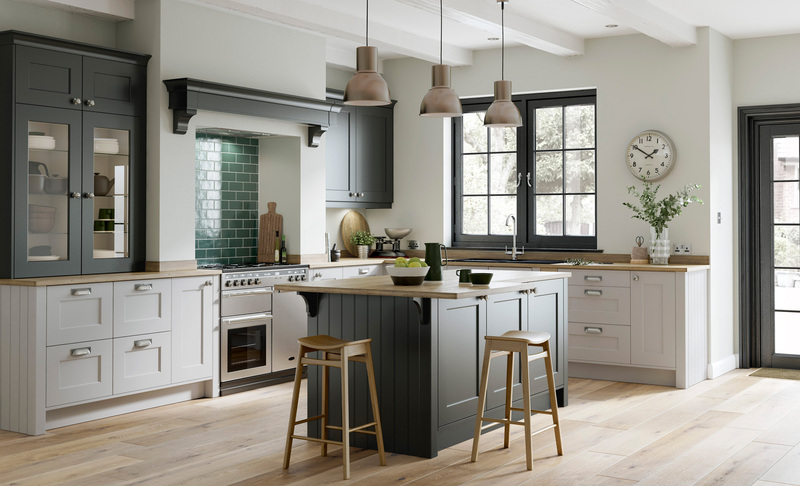 Choose a contrasting colour to really bring your kitchen to life!